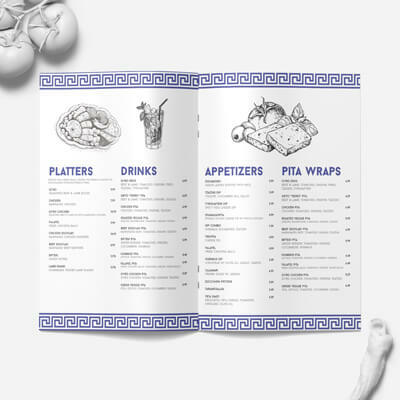 A brand new printed restaurant menu could be the first step to your big rebrand. 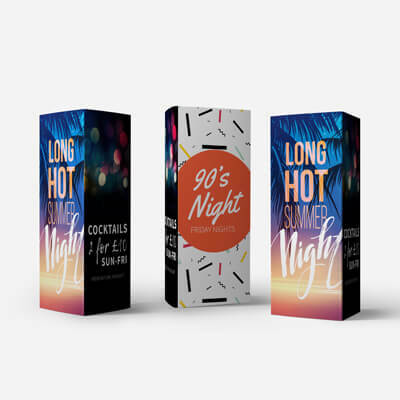 Or, why not connect all of your marketing literature with print that makes you look incredible? 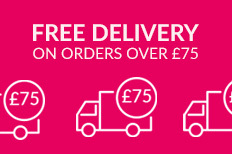 Whatever your restaurant or takeaway business is aiming to do, we’ve got the print to help. 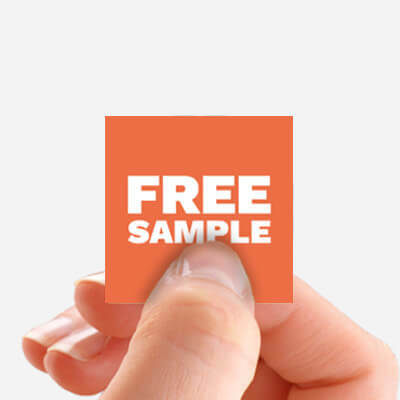 Check out our free design templates, or take a look at our blog for even more ideas and inspiration! 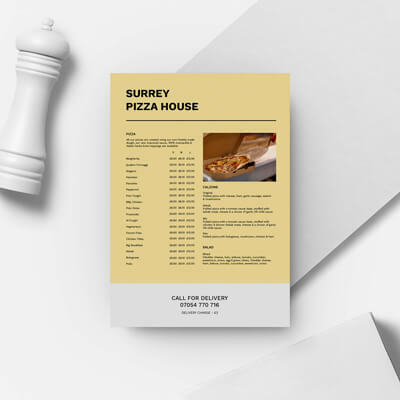 Our most affordable menu printing option is ideal for takeaway restaurants who still want to look amazing. 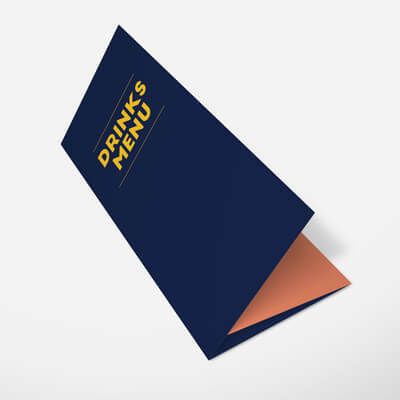 Ideal for mailing out to local customers our folded menu's are available with three different folds and printed on three different paper types. Dessert menus and special offers will look great on these menus. Add a laminate finish to set your design off! Prop up a folded menu on a table for instant restaurant ambience. Your food is sure to look irresistible. 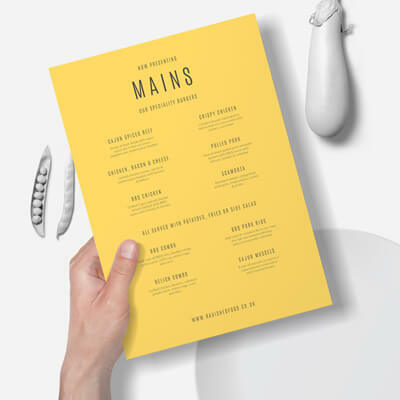 For menus that read like books, keep the pages turning with stapled menus. Print up to 20 pages per menu. From coffee shops, family restaurants and high-end cocktail bars, there’s a drinks menu for every business. 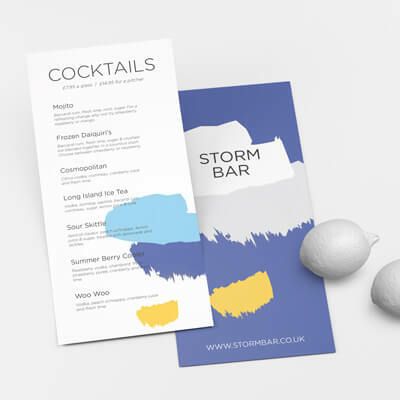 Create a cool drinks or specials menu design that would look awesome propped up on your bar or tables. 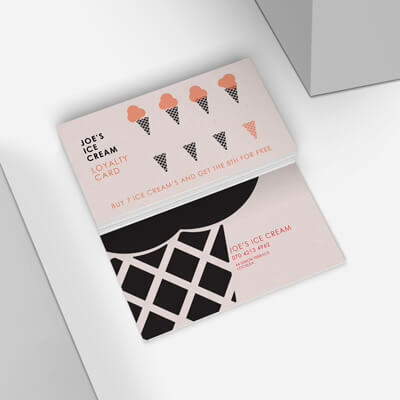 A loyalty scheme is a fantastic way to keep your customers coming back for more – these cards are the solution! 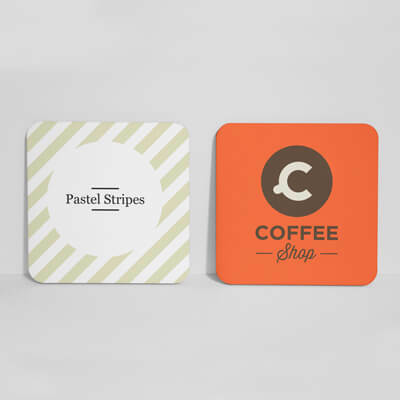 Keep your restaurant’s branding consistent with custom coasters. Ours are super sturdy and water-resistant. Whether you want to create a quirky specials board or draw in passers-by, you can’t ignore an A-frame! 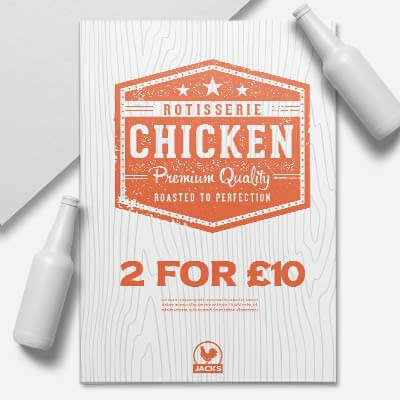 Table talker menus have three panels, making them perfect for advertising offers and seasonal specials. 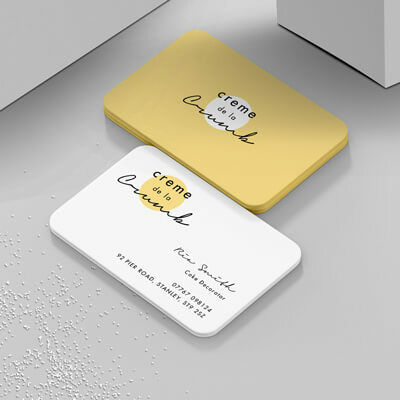 Every restaurant owner needs a business card! 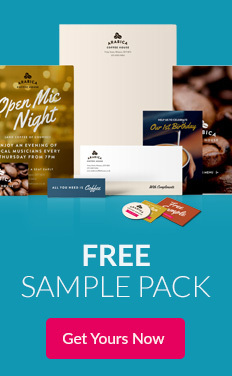 Design your own in no time at all with our free templates. 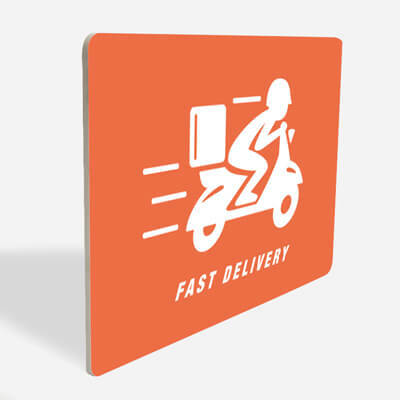 Posters are great for making your own wall art, advertising deals and promoting your best food options. Celebrate your takeaway or restaurant opening by inviting the whole town! Flyers make unbeatable promos. 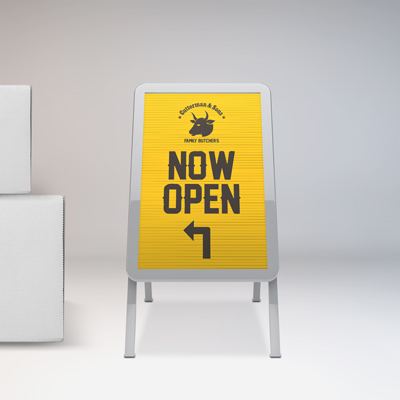 Create added excitement around your deliveries by adding branded stickers and labels to your packaging. 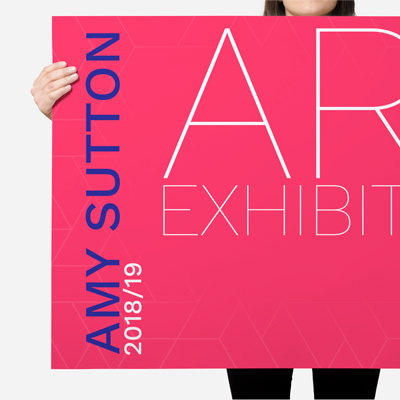 For a long-life poster alternative, you can’t go wrong with signage printing. Indoor and outdoor options available. Whether you've got a quick-coffee-on-the-run café or a gourmet Michelin star restaurant, your hospitality business is nothing without a good menu. 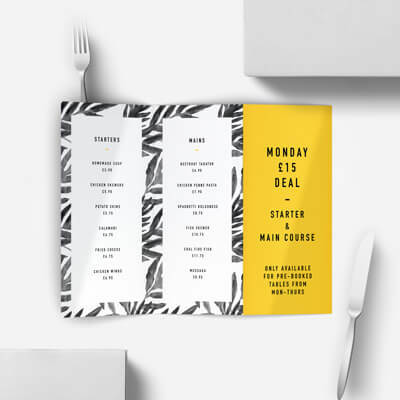 We're not just talking about the food, of course; how your menu looks is a vital element in helping your customers make the tastiest decision of the day. 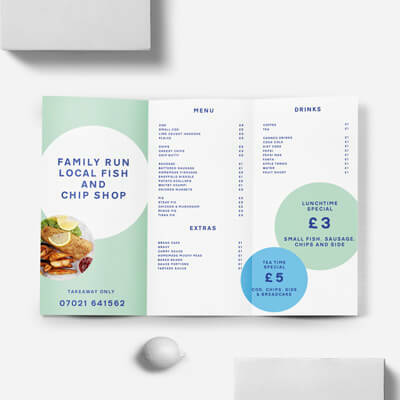 A well-designed menu can even ensure customers spend more than they intended! For example, a sleek menu with offers of 3 for 2 or 'side upgrades' (sweet potato fries, anyone?) is so tempting for hungry people – you'll soon see an increase in at-table upsells. It's really that easy.